Roughly four months ago, we saw the release of a new major version of Microsoft’s Azure Multi-Factor Authentication (MFA) Server, version 8.0.0.3. Last week, Microsoft released a minor version, dubbed version 8.0.1.1 that addresses a couple of issues you might experience with version 8.0.0.3. The team fixed an issue that admins might experience when launching the Azure Multi-Factor Authentication (MFA) Server Admin Console on Japanese version of Windows. 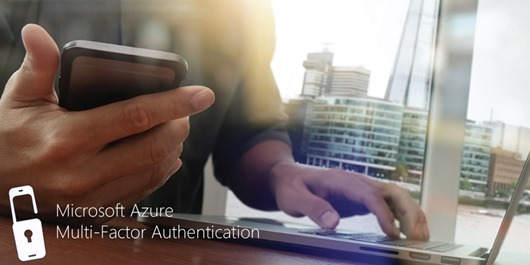 Azure Multi-Factor Authentication (MFA) Server’s User Portal is an additional component that allows end-users to make changes to their on-premises MFA registrations in a web-based environment. The User Portal is available in several languages and offers end-users a selection of languages for text messages, phone calls and other authentication-related settings. The team fixed an issue with retaining the selected language in the User Portal. While the above fixes could be classified as minor fixes, the team reports that they’ve fixed other minor issues in Azure Multi-Factor Authentication (MFA) Server as well. You must upgrade MFA Server and Web Service SDK before upgrading the User Portal or AD FS adapter. Read the guidance in the How to Upgrade section in this blogpost for more information. You can download Azure Multi-Factor Authentication Server 8.0.1.1 here. The download weighs 128.2 MB. This is version 8.0.1.1 of Azure Multi-Factor Authentication (MFA) Server. It was signed off on July 26, 2018. Thank you for the post, I tried updating as you outlined https://dirteam.com/sander/2016/04/06/azure-multi-factor-authentication-server-reaches-version-7-0-0-9/, but I didn’t find any executable (.msi) for the Multi-Factor Authentication Mobile App Web Service. Any ideas how to upgrade that part? Currently, Azure Multi-Factor Authentication (MFA) Server and Azure MFA (as-a-Service) are completely different products and systems. There is no overlap between the two products or systems in terms of configuration or management, only in licensing and functionality. Where MFA Server was designed for on-premises strong authentication, Azure MFA was designed for cloud-based strong authentication. These lines have blurred significantly when the AD FS adapter was introduced for MFA Server on-premises, as this enabled many Conditional Access-like, cloud-oriented scenarios. Likewise, Azure MFA now also offers an AD FS adapter on Windows Server 2016 and an NPS add-on for RADIUS strong authentication, encroaching on MFA Server’s traditional turf. Is it possible to upgrade from v6.1 to v8.0.1. According to MS support the upgrade should be 6.x to 7.x and than 7x to 8.x. What happens to users who are already using the Mobile App after the upgrade to 8.x? do they need to re-register the app after the upgrade or it will continue working without having to do anything? One of the interesting aspects of MFA Server version 8 is that its installation file no longer contains the Mobile Portal installer. When upgrading from version 6.x to version 8.x, the absent components would not be upgraded, resulting in the unnecessary usage of an older version of the component. In the case of MFA Server 8.0 Azure AD is used to register and interact with Microsoft Authenticator app installations on mobile devices. However, MFA Server’s previous Mobile Portal would remain on the system as a relatively old (MFA Server 7 was released in April 2016) and possibly vulnerable component. Another issue might be backward compatibility between the components. Version 7 and version 8 of MFA Server are based on .NET Framework version 4, while previous versions of MFA Server and MFA Server components were not. 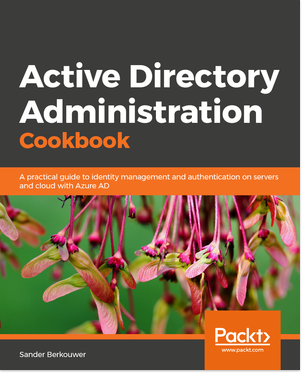 Our recommendation would be to create a new MFA Provider in Azure AD, perform a new MFA Server v8.0 implementation and then copy over the phonefactor pfdata file from the existing MFA Server implementation. As a last step, decommission the previous MFA Server. We have installed MFA Server as per this great article. Currently we have two MFA Servers in HA configuration. The two MFA servers both run Windows Server 2008 R2. Now, we want to upgrade the Windows Server 2008 R2-based MFA Servers to Windows Server 2016 and also upgrade the MFA Server software to v8.0. I know there is the upgrade article for MFA Server, but this is an in-place upgrade. We want new Operating System and MFA Server version. What would the best approach then be? Install 2 new secondary Windows Server 2016-based MFA Server v8.0 installations and join the current group? Install 2 new secondary Windows Server 2016-based MFA Server installations, join the group and then perform in-place upgrades of the MFA Server software? Install 1 new primary and 1 new secondary Windows Server 2016-based MFA Server v8.0 installations, not join the group, but do a restore of the PhoneFactor.pfdata? I used MFA Server version 6.3 to write those articles on 4Sysops. Assuming the MFA Servers run version 6.3, option 3 would be our recommended approach here. It’s the only scenario that allows for testing without impacting production, it allows for roll-back, and avoids any incompatibilities between Windows Server (.NET Framework) and MFA Server. As MFA Server v8.0 doesn’t include a Mobile Portal installer anymore, this would also result in the cleanest end result. The drawback of option 3 might be that it takes more time to complete, but it’s all building steps, instead of remediation steps. Can you clarify the user experience for upgrading from 7 to 8? I am currently running v7 have thousands of users who have already registered mobile devices with the Authenticator app. 1. When I move to version 8, will they have to re-register their mobile devices? 2. Is it just the registration of new mobile devices for Authenticator that’s moved to the cloud, or is the entire mobile app service on-premises no longer necessary, and I can stop publishing that externally after upgrading to v8? No, end-users do not have to re-register when you upgrade/move to MFA Server 8. The service is moved to Azure. However, registrations are still recorded in the phonefactor.pfdata file on the MFA Server.